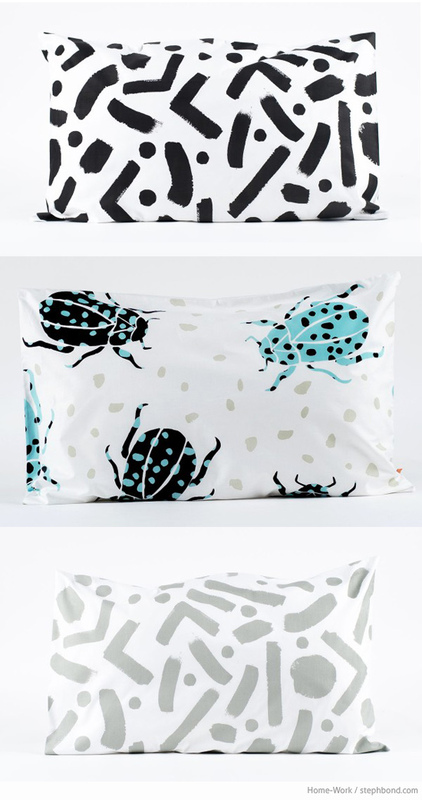 Now is the chance to grab a huge bargain on this beautiful screen-printed 100% cotton children's bed linen from Melbourne designers Home-Work before they are discontinued. I love all their designs and to be able to get your hands on this quality work for half price is amazing. 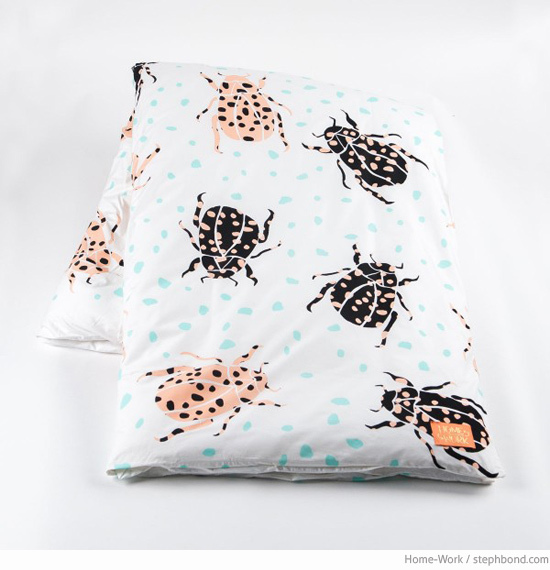 Mix and match all these single doona covers and pillow cases for both boys' and girls' rooms. 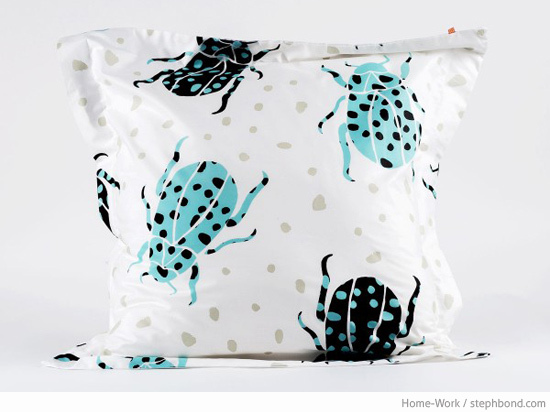 Scarab beetles and bugs of all kinds are popping up on homewares all over the place; and these pastel + black colourways are right on trend. 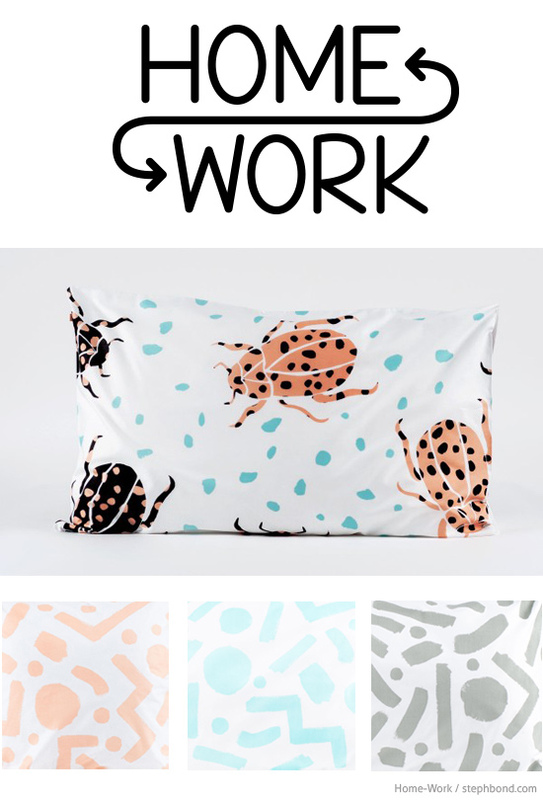 I'm all about the peach and black scarab pillow case - what about you? You can find kids' bedding at 50% off in the Home-Work online store using the code inbedwithhomework until Friday 22nd May 2015. Plus free shipping within Australia for a limited time. What more could you want. Happy shopping!